Basketmouth to release single featuring eLDee and wizkid? 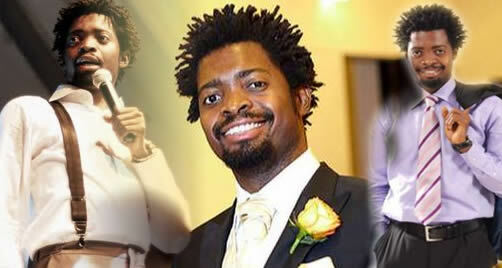 Bright Okpocha aka Basketmouth has disclosed on Facebook that he is ready to bring out the rapping skills in him. 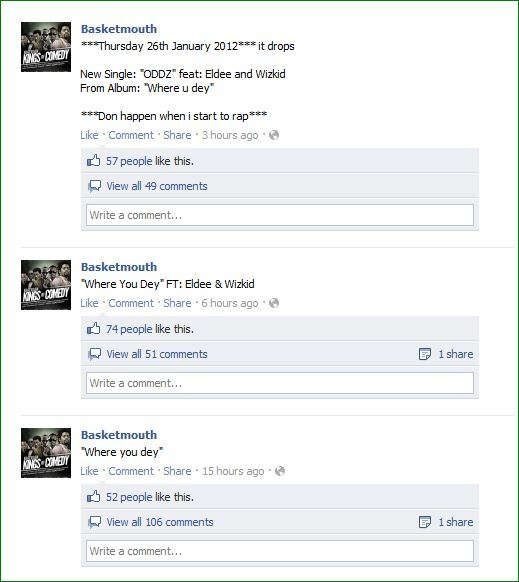 Basketmouth has been posting messages about his rap talent on his Facebook page. Part of the messages read: Basketmouth the rapper, E don happen when i start rapping, and one of them revealed the title of his first single “ODDZ” from the album “Where u dey” ft eLDee and wizkid. According to the Facebook posts, the single is scheduled to be released on Thursday, January 26th 2012. If this is not one of his jokes, basketmouth will join his colleagues like julius agwu, omo baba, Jedi, Koffi who are singers too. ma man is on his way to rock evry crib. 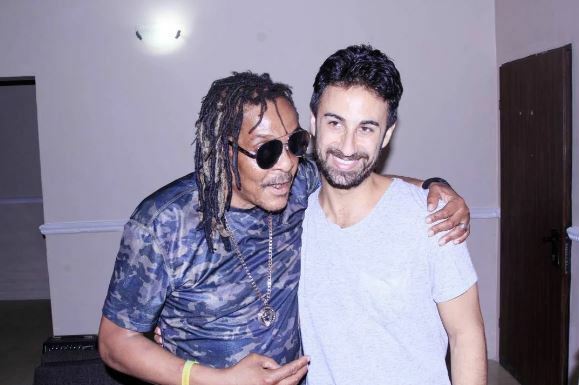 Very soon baba suwe will rap . . .
And Pete Edochie will sing R and B . . . Anyway i’ll luv to hear it.